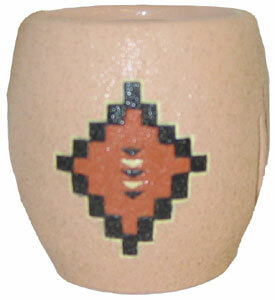 This votive candle holder comes with an unscented votive candle and translucent shade already inside. 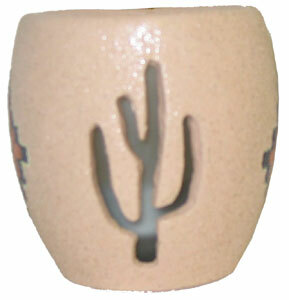 The cutout illumination pattern (Left Picture) is of a saguaro cactus, and the rest of the holder has a southwestern design inspired by the Native Americans on it. The outer surface is adobe colored (ranges from light pink to tan) textured resin.